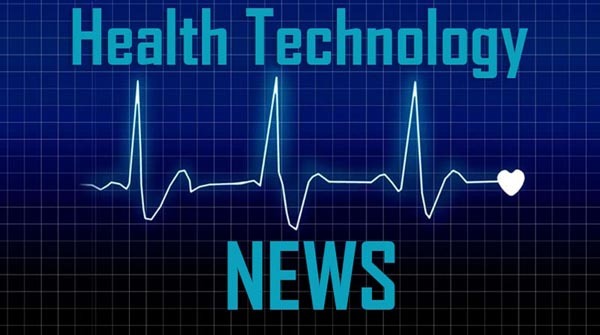 CALGARY, AB and SAN DIEGO, CA / ACCESSWIRE / April 4, 2019 / Oncolytics Biotech® Inc. (NASDAQ: ONCY) (TSX: ONC), currently developing pelareorep, an intravenously delivered immuno-oncolytic virus, today announced that it will host a Key Opinion Leader meeting to discuss the emerging role of biomarkers and oncolytic viruses in the treatment of cancer on Thursday, April 11, 2019 at 12 pm EDT in New York City. The event will feature presentations by company management and Key Opinion Leader Dirk Arnold MD, PhD, Executive Board Member of the European Society of Medical Oncology (ESMO) & Chief of Oncology at Asklepios Klinik Altona, who will discuss biomarkers, their importance in trials, their influence on large pharma and their impact in both clinical and commercial settings, as well as recent biomarker data from Oncolytics. This will be followed by a brief outline of how Oncolytics’ biomarker strategy is influencing the Company’s clinical development plan, specifically its phase 3 program in metastatic breast cancer. Dr. Arnold will be available to answer questions at the conclusion of the event. Oncolytics’ management team will also provide an overview of the ongoing development of pelareorep, the Company’s first-in-class intravenously delivered immuno-oncolytic virus (IOV) for the treatment of solid tumors and hematological malignancies. Pelareorep is a non-pathogenic, proprietary isolate of the unmodified reovirus. It induces selective tumor lysis and promotes an inflamed tumor phenotype through innate and adaptive immune responses to treat a variety of cancers, including metastatic breast cancer, multiple myeloma, and pancreatic cancer. Dr. Arnold is Professor, Chief Physician, Haematology and Internal Oncology, at Asklepios Klinik Altona. He is the Chairman of the Colorectal Cancer Study Group of the Arbeitsgemeinschaft Internistische Onkologie (AIO) and is a member of the Task Force Colorectal Cancer and the Board of the Gastrointestinal Cancer Study Group of the EORTC. He is a key member of several German and other international cancer societies, including the American Society of Clinical Oncology (ASCO) and the European Society for Medical Oncology (ESMO), where he serves as a Board Member and Section Editor for Gastrointestinal Cancers of the Guideline Committee. He previously served as Professor of Medicine at the University of Hamburg, where he held the position as Medical Director of the University Cancer Center (UCCH) until 2012. Before that, he served as Assistant Professor and Chair of the Gastrointestinal Cancer Unit at the Martin Luther University Halle-Wittenberg, Halle, Germany, where he also received his training as Medical Oncologist, and specialist in Palliative Care. From 2012 to 2015, Dr. Arnold served as Director of the Department of Medical Oncology of the Klinik für Tumorbiologie, University Freiburg. In January 2016, he joined the CUF Hospitals in Lisbon, Portugal, as Director of Oncology services. This event is intended for institutional investors and sell-side analysts. Please RSVP in advance HERE if you plan to attend, as space is limited. For those who are unable to attend in person, a live webcast and replay will be accessible on the Investor Relations page of Oncolytics’ website at www.oncolyticsbiotech.com. Members of the media and the public are invited to participate via the live webcast.